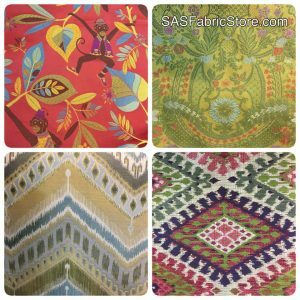 We received a huge shipment of beautiful home decor fabrics: drapery linen, drapery tapestry, drapery canvas, embroidered upholstery. Top designer names include: Ralph Lauren, Tommy Bahama, Richloom, Mill Creek, Jay Yang, Schumacher, Golding, Williamsburg, Village, Kaufmann, and Braemore. As always, our prices are unbeatable! Come check out our new selection. 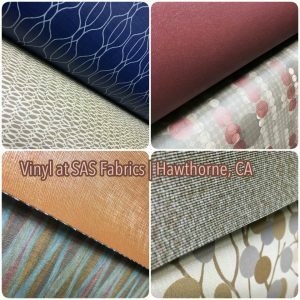 We carry a huge selection of vinyl material fabric, also known as faux leather, at SAS Fabrics in Hawthorne. The prices start at $3.99 – $4.99 per yard and up. An array of beautiful colors and prints along with interesting vinyl textures are available. Create that unique Halloween decoration for your home. 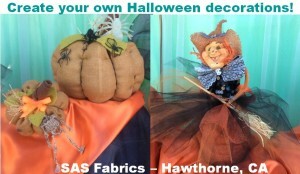 The creative gals at the store can help make your Halloween creations come to life. It’s f un to dress up this Halloween with these inexpensive bling items from SAS Fabrics in Hawthorne, California. 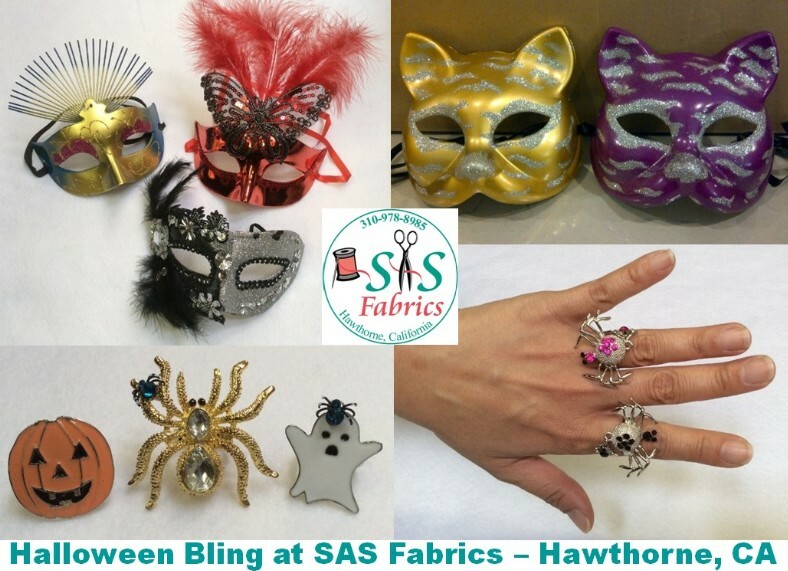 Here’s a sampling of our Halloween bling goodies and we have so much more in the store at very affordable prices ranging from 99 cents and up.